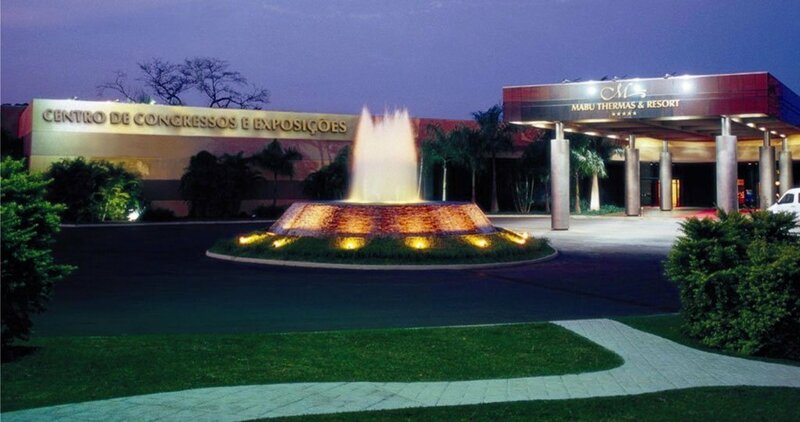 The Mabu Termas Resort is located half-way between the airport and the city center. 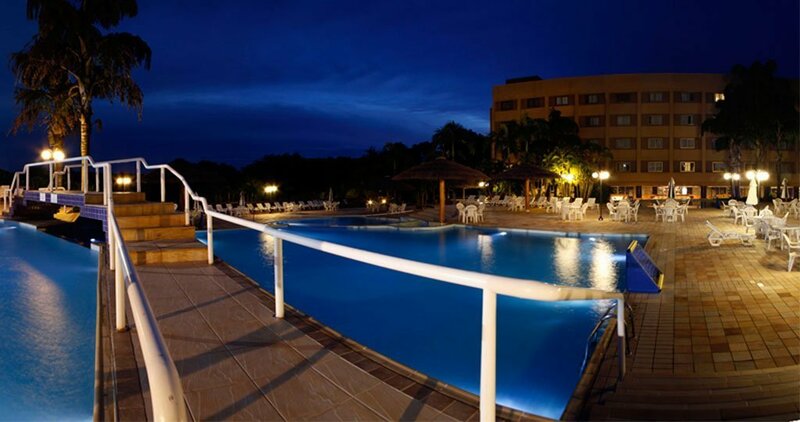 The resort is close to all the natural wonders, ecological and adventure trips, and entertainment in Iguazu Falls. 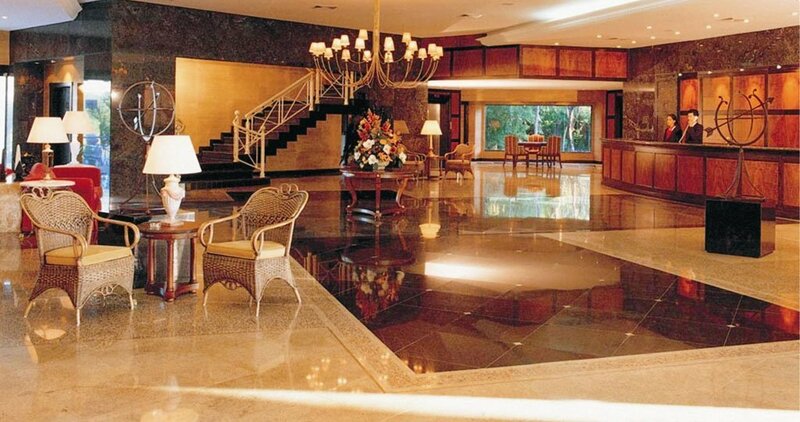 Contact our Brazil Travel Agents for a Custom Iguazu Falls Vacation Package with this hotel. A modern design concept allied to the highest technology makes Mabu Thermas an intelligent resort, where every square meter has been carefully planned to ensure full utilization. With 208 comfortable rooms, the construction is in accordance with the solar movement, which allows balanced natural light in all queen apartments (American system with two queen beds, providing more comfort and flexibility) and suites. 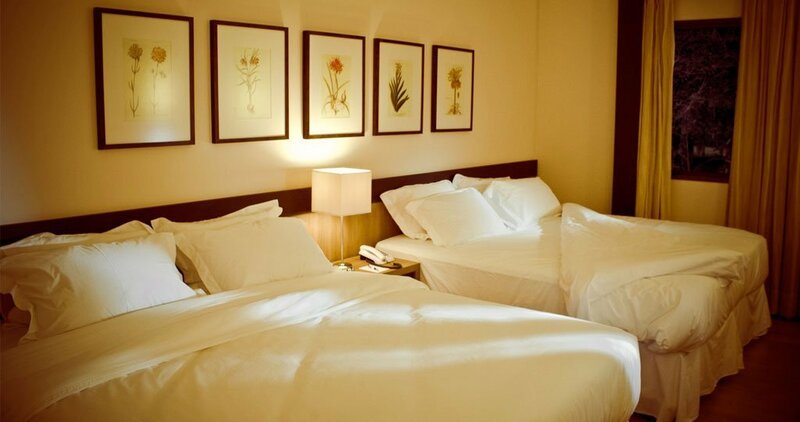 The resort has a very modern system of central air conditioning, able to adapt temperatures to different situations. This Resort features the planet’s biggest thermal water spring. The crystal clear water flows to the surface, completely refilling the pools every four hours. The temperature of the water is 36 degrees Celsius all year round. Several sports and activities are available, including guided recreation for adults and children, providing fun and leisure at any age. 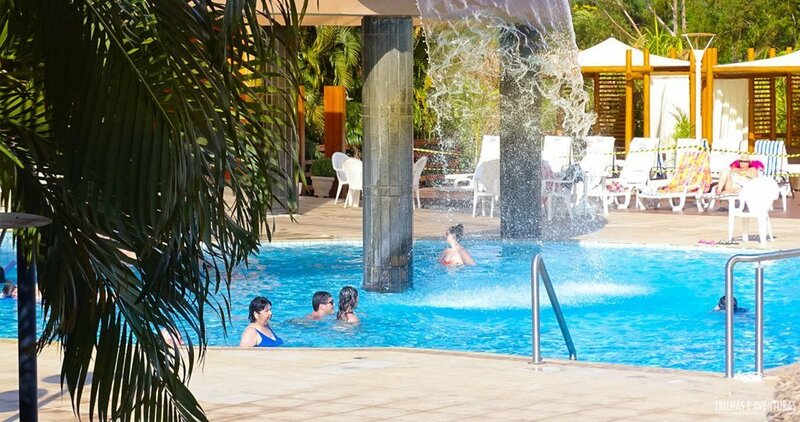 The Mabu’s restaurants are perfect places for relaxing around the thermal springs after a day of many adventures. Health, beauty, and entertainment activities are all available within a covered area. 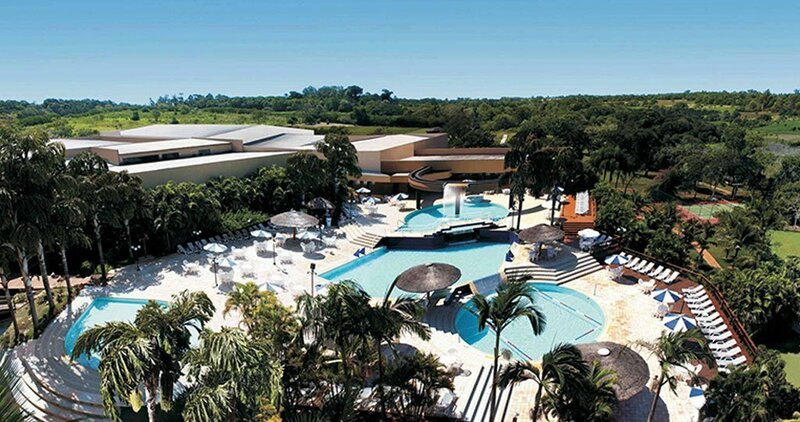 From the hotel you can visit Itaipu Dam- the world’s largest power station, go on rafting tours, visit the Iguazu Bird Park, and the Jesuits ruins on both Brazilian and Argentinean sides of the border.